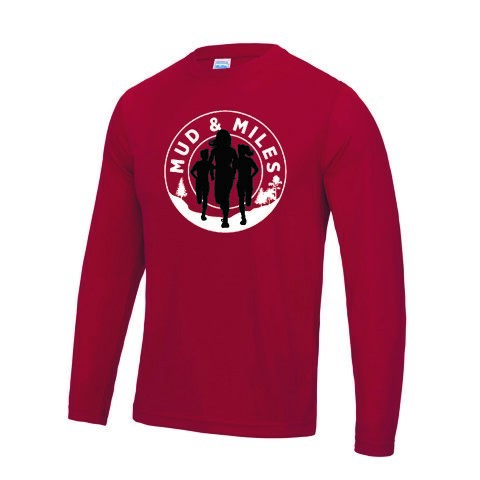 Red men's fit long-sleeve t-shirt. Technical fabric. Large Mud and Miles logo on front.